to Bali will made the sweetest right here. 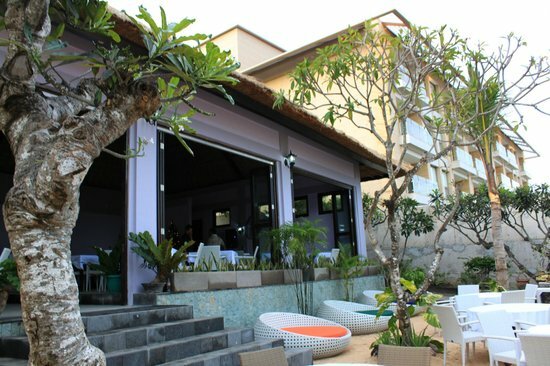 Constructing your itinerary in Nusa Dua? You don’t need to, because we have created an ultimate guide to a whole day in Nusa Dua that you can use as a helpful reference! My ultimate favorite brunch spot! It serves every. good. thing. from the whole wide world. The cuisines vary and they are made truly fresh! Not only that the food is the best, you can also enjoy one of the most top notch services you’ll ever get. What could be better than enjoying grilled fish on a hot summer day, AND with a spectacular ocean view? I bet you can’t go wrong with this place. A perfect way to satisfy your legit seafood cravings! This place is totally what the hype is all about. The food ranges from steaks, Japanese, to traditional Balinese meals. The rate is Rp. 399.000++ for non-alcoholic brunch and Rp. 599.000++ if you are in need of some cocktails kick in the morning. Worth every penny. The moment when you clicked on the link of this article, you must have already known that going to the beach is on top of our list. And guess what? You’re completely right. Nusa Dua Beach is where you can find pristine ocean water, unforgettable summer breeze, and clean and white sand. Jack Johnson’s music on! A hidden gem in Nusa Dua. The place where you can totally throw away all of your sorrows and negative thoughts, and just simply embrace the moment. Zen at its best. …or Sightseeing at a Museum? Since Bali is made up of various cultures and all of them are beyond interesting, why don’t spare some time to appreciate the values of the diversity through the form of art? This place will take you to a spectacular journey of art exploring through its extraordinary sculptures, paintings, etc. Since Nusa Dua has one of the most pristine beaches on the island, why don’t we make the most out of it? Get a diving experience like no other with Bali Scuba Masters. The mentors are well-trained and friendly. The diving area is the best! You get to see amazing stuff like the one displayed above. Wondering how fun playing around with a jetpack is? This one will provide the answer to your curiosity! Imagine how exciting it is to use jetpack on the water. Other than that, they also provide other water sports that will give you a memorable experience. So fun! After an exhausting yet exciting day in Nusa Dua, you must be craving for one BIG FEAST! We’ve got a perfect place idea for you. At Bumbu Bali, all dishes are made with fresh and authentic Indonesian ingredients, resulting to a flavorful selection of Balinese dishes! The place itself has a lovely and homey ambience. You’ll fall in love! As you can see, this place has a really vibrant and romantic atmosphere! Other than the splendid interior, they serve delicate Balinese traditional food that suit every single person’s taste buds. Don’t forget to order their Bebek Betutu, which is a slow-cooked whole duck marinated in 16 secret spices! …and finally, Chill & Drink! 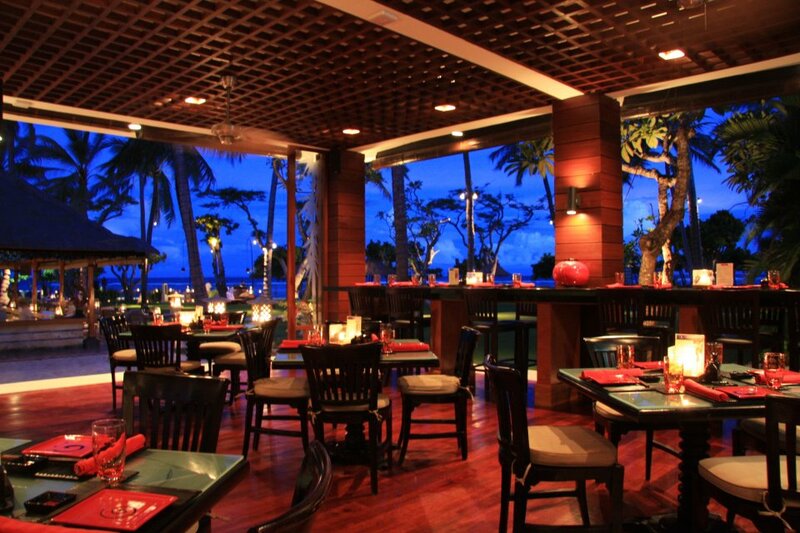 My favorite bar in the whole Nusa Dua! The ambience is to die for, the cocktail selection is top notch, and the tapas selection is perfect. The view is the best you can get around. The white color all over the venue gives a touch of elegance and calmness. Unforgettable! The location of this place is like no other. Situated on a rooftop, you get to indulge in an impressive selection of cocktails and a wonderful ocean view at the same time. The ocean breeze you get at this place is amazing. Such a perfect way to end your day here. The post Your Ultimate Guide To Nusa Dua appeared first on Qraved Journal.